Kilmarnock pushed Inverness to the brink of relegation with an anxious 2-1 win at Rugby Park. Goals either side of the break from Sean Longstaff and Jordan Jones sealed the Highland club's fate. Alex Fisher created a few nervy moments for the home side when he netted on 70 minutes, but Killie did enough to hold out. Inverness can now be relegated before they go to Dundee on Wednesday night, if Hamilton triumph 24 hours earlier. Kilmarnock made three changes from the side that lost 1-0 to Dundee. Freddie Woodman, called up by England under-20s, was replaced by Jamie MacDonald in goal, while Kris Boyd and Greg Taylor made way for Greg Kiltie and Adam Frizzell. Caley were unchanged from the win over Hamilton, with Liam Polworth and Iain Vigurs recalled to the bench. The visitors started brightest and had the first chance after just 90 seconds, Henri Anier releasing Fisher, whose shot went straight into the side netting. Aside from a lofted Billy Mckay effort that drifted over the top, the main talking point of the first 15 minutes came when Iain Wilson was booked for a wild lunge on Ross Draper. The Killie man may have got a touch on the ball but the challenge sent Draper sprawling and saw three booked for the ensuing melee. It certainly fired up Killie and they took the lead in circumstances Ryan Esson will want to forget. The Inverness stopper had three attempts to claim a cross and spilled it and when David Raven could not clear, Longstaff drilled it goalwards. Despite Brad Mckay's best efforts, the ball found its way in. 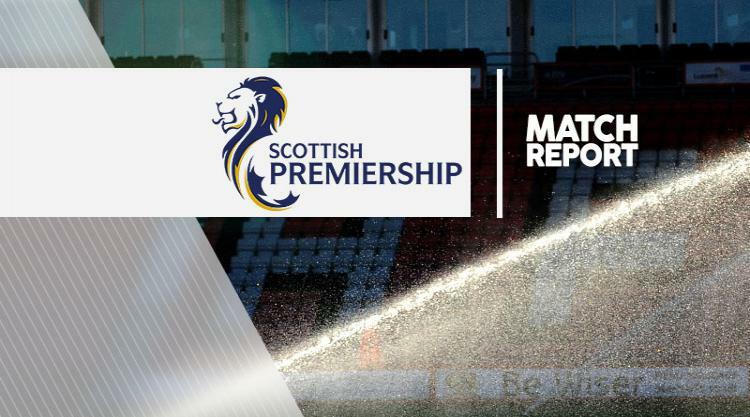 Caley Thistle struggled to get anything out of their long-ball tactic, while Killie's midfield movement, particularly from Longstaff and Jones, proved difficult to deal with. Raven's snap-shot, which flew wide, was the last opportunity of a ragged first half for the visitors. Jones fired a warning shot to the Caley Jags at the start of the second period with a cross-shot that flew across the face of goal, but he made amends just before the hour. The visitors were caught committing too many men forward and Jones tore away down the left flank. He sold Gary Warren a dummy and kept going, before sliding a shot under Esson. Fisher clawed one back with 20 minutes remaining and Raven had blue hearts in mouths with a speculative curling shot that MacDonald held. What ensued was a chaotic finish, with Inverness firing bodies and balls forward at will, but there was to be no fairytale comeback.